This tour is a group tour, conducted with other travellers, and with set departure dates. Etosha – translated as ‘the place of dry water’ – is a celebrated wildlife reserve in a dreamy, desert-like environment. Etosha National Park is in effect a vast shimmering salt pan, which creates a setting and scenery so vastly different from any other reserve you’ll have visited. Move from waterhole to waterhole in search of the Big Five. At Sossusvlei in the heart of the Namib Desert, you’ll find the world’s highest sand dunes. Sunrise and sunset, spectacularly clear starry skies, and the shifting shadows and shapes of the dunes…all photographer’s and romantics’ dreams. Damaraland is one of the last true wilderness areas in Africa, and we travel through here to the Petrified Forest, visit the historical rock engravings at Twyfelfontein, and explore the geological marvels of the Organ Pipes and Burnt Mountain. Once at the coast, we’ll spend time touring the charming German inspired town of Swakopmund, learning about the history, the people and the architecture. Namibia in a nutshell – from the wildlife and scenery of the stark salt pans and desert, to the cruel coastline and quaint Germanic towns, it’s a landscape unique to this west coast of Africa. Tour starts from Windhoek city hotels and ends back at Windhoek city hotels with a drop off at Windhoek International Airport by 16h00. This tour is operated in English only. Depart Windhoek and head north via Okahandja, for a visit to a local market, to shop for wood carvings and curios. We arrive at our lodge late afternoon. Today we will spend a full day in this world-class game park, visiting a number of waterholes to observe the wildlife. Etosha, translated, means ‘The place of dry water’ and here we get our first view of the magnificent pan. 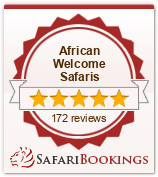 We travel along the vast salt-pan with stops at various waterholes and game viewing en route. After lunch we continue through the Park and on to our overnight stop. An early start to see the highlights of Damaraland – one of the last true wilderness areas in Africa. We head through Outjo, Khorixas, the capital of this region. We pass through scenic landscapes and Damara villages before we reach the Petrified Forest. We arrive at our lodge at lunch time. We visit the rock engravings at Twyfelfontein, the fascinating geological features such as the Organ Pipes and Burnt Mountain. Afternoon at leisure. We continue via Henties Bay to the charming coastal resort of Swakopmund. Spend the remainder of the afternoon at leisure, with options including a visit to the museum, the aquarium, the crystal gallery, or simply to just explore the town. Today is at leisure to explore further this charming town. Maybe indulge in a harbour cruise or do a Scenic flight, or perhaps one of the numerous adventure activities on offer. This morning we visit some of the regions natural wonders such as the ancient Welwitschia Mirabilis and the Moon Landscape before continuing to the edges of the Namib Desert and then proceed through the southern region of the Namib Naukluft Park, the Kuiseb Canyon, and the Gaub Pass before we reach our accommodation. We visit the spectacular dunes at Sossusvlei, reputedly the highest dunes in the world. Energetic guests may choose to climb to the top of the dunes, before returning to our lodge. This morning we have a leisurely start and drive through the scenic Spreetshoogte Pass (road conditions permitting) on to Windhoek. You arrive at your Windhoek city hotel at approximately 15h00, alternatively you can be dropped off at the Windhoek International Airport by 16h00.